A depressed 13-year-old girl in China might not be alive if it weren't for her dog, Roman. 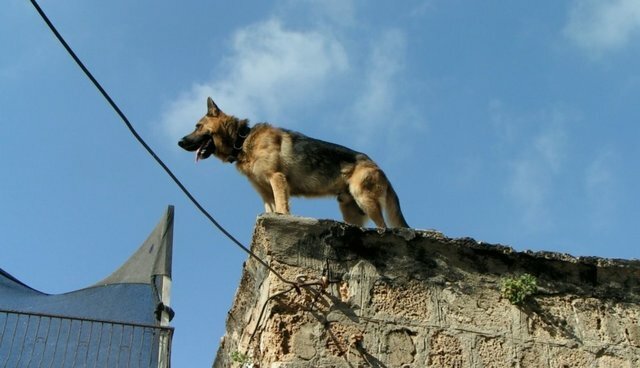 The mutt assisted firefighters in rescuing his young owner last weekend, when the girl attempted to commit suicide by jumping from the roof of her family's building. According to one report, Roman barked and tugged at the girl's clothes in an effort to drag her back to safety. When firefighters arrived to rescue the girl, they found Roman pacing anxiously behind her. The girl then "descended" from the roof and was left dangling from the ledge, while her dog latched onto her shirt to yank her up. He was assisted by the firefighters and the girl's mother, who came to his aid pulling the girl back onto the roof.